There has been a tendency to the view the history of the early medieval papacy predominantly in ideological terms, which has resulted in the over-exaggeration of the idea of the papal monarchy. 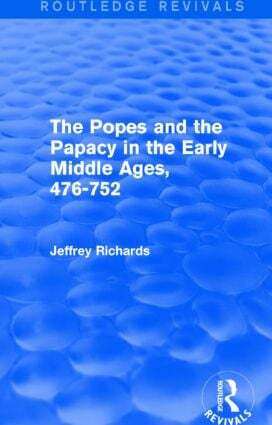 In this study, first published in 1979, Jeffrey Richards questions this view, arguing that whilst the papacy’s power and responsibility grew during the period under discussion, it did so by a series of historical accidents rather than a coherent radical design. The title redresses the imbalance implicit in the monarchical interpretation, and emphasizes other important political, administrative and social aspects of papal history. As such it will be of particular value to students interested in the history of the Church; in particular, the development of the early medieval papacy, and the shifting policies and characteristics of the popes themselves.